Congrats on your precious (and exhausting) new addition! Whether your newborn just arrived, or you are patiently waiting for your beautiful baby to make his or her appearance, you have come to the right place. 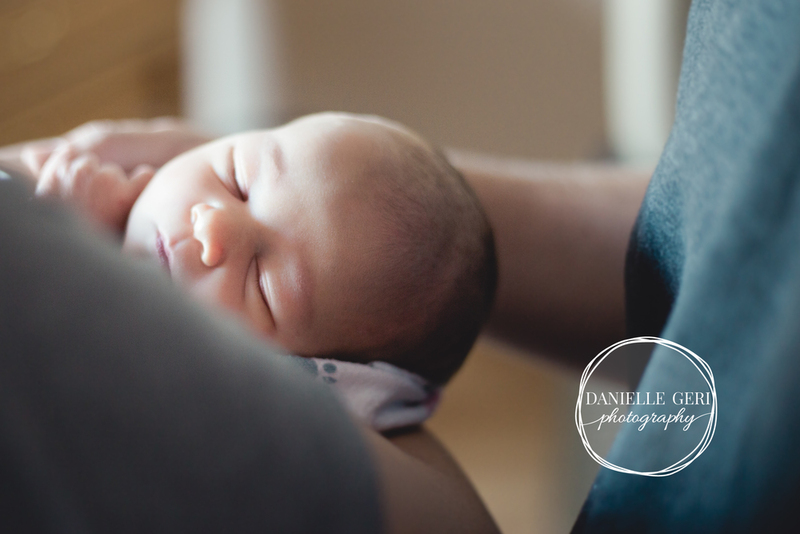 Newborn photography tops priority lists (right up with diapers and a crib). Danielle Geri Photography strives to make your photography experience delightful and relaxing; making treasured memories to accommodate your cherished pictures. Using the art of lifestyle photography, we capture meaningful details you do not want to forget; his tiny feet, her button nose, her stunning nursery, his hospital tags. 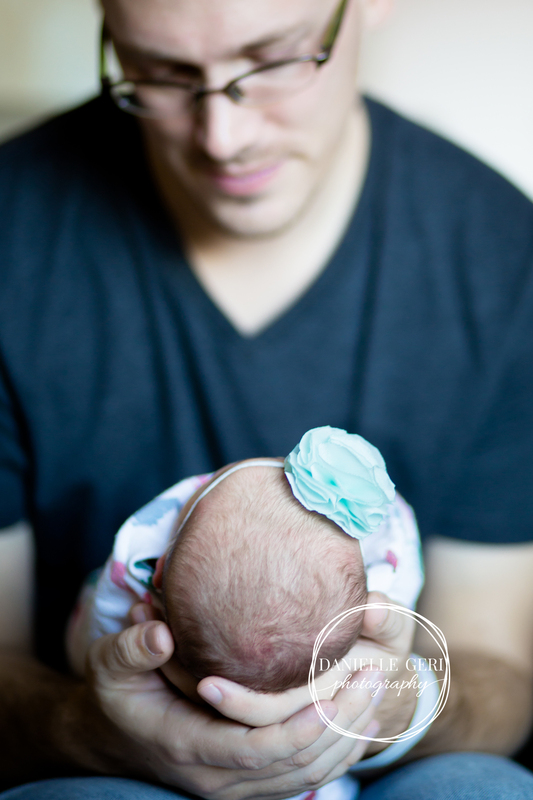 Your newborn pictures should tell a beautiful story of a fleeting time. Heaven knows you will be too sleep-deprived to recollect this season without photos. Your precious newborn demonstrates an inexplicable uniqueness; you do as well. We will work together create a professional lifestyle photo session you will adore for years to come. Newborn photo sessions can take place in your home or your hospital. Lifestyle photography eliminates your obligation to drag your teeny-tiny newborn through unpredictable weather (Minnesota, anyone?) at a critical time when you need to be with your new child and family. Your session will be individually catered to you, capturing the moments you cherish using lifestyle photography. Deluxe Newborn Lifestyle Photography Sessions provides plenty of time to relax and allow baby to run the show entirely. We have ample opportunity to capture your newborn's gorgeousness. Extra time can make a world of difference. Newborn Lifestyle Sessions allow us to capture your newborn's genuine beauty. Your precious newborn demonstrates an inexplicable uniqueness; you do as well. We will work together create a professional lifestyle photo session you will adore for years to come. Newborn photo sessions can take place in your home or your hospital. Lifestyle photography eliminates your obligation to drag your teeny-tiny newborn through unpredictable weather (Minnesota, anyone?) at a critical time when you need to be with your new child and family. Your session will be individually catered to you; capturing the moments you cherish using lifestyle photography. A Newborn Lifestyle Photography option, allows you to relax, enjoy, and truly discover loving moments with your newborn. While you may not feel gorgeous as your pregnancy progresses, you certainly radiate beauty and you carry your little one for less than a year. Did you catch that? Take two significant things from the above statement. 1) Someday, your pregnancy will end. You will not actually be pregnant forever. 2) You better get some photos of your stunning self, because you have an extremely limited opportunity to capture your season. Deluxe Maternity Lifestyle Photography Sessions allow us to collaborate to design a photo session unique to you. We work together to create a photo shoot generating more than simply pictures to tuck away in an album. Your maternity session will tell a story. Using the art of Lifestyle Photography, you will receive stunning portraits capturing a true glimpse into your miraculous (and super-duper comfortable) season of life. A Deluxe Maternity Lifestyle-Photography Session provides the additional time to fully explore your life. We can travel to multiple locations and photograph a variety of uniquely stunning photos. Maternity Lifestyle Photography Sessions allow us to collaborate to design a photo session unique to you. We work together to create a photo shoot generating more than simply pictures to tuck away in an album. Your maternity session will tell a story. Using the art of Lifestyle Photography, you will receive stunning portraits capturing a true glimpse into your miraculous (and super-duper comfortable) season of life. All photos to be edited are selected by photographer. Enquire for information on personal ordering sessions. *Session fee required to book session. Prices subject to change. Your session price is locked in upon booking. Upon completion of physical session, all fees are non-refundable. Travel fee may be charged for sessions greater than 40 miles from Buffalo, MN (55313). Please contact for details. Sessions are non-refundable and all edited photos are final. Unedited proofs are not available for sale. Danielle Geri Photography reserves original copyright to all photos and photos can be used for marketing online. Minnesota sales tax will be applied. All sessions include a copyright release. To book your photo session or for more information, contact Danielle Geri Photography at 763.670.7657 or DanielleGeriPhotography@gmail.com.